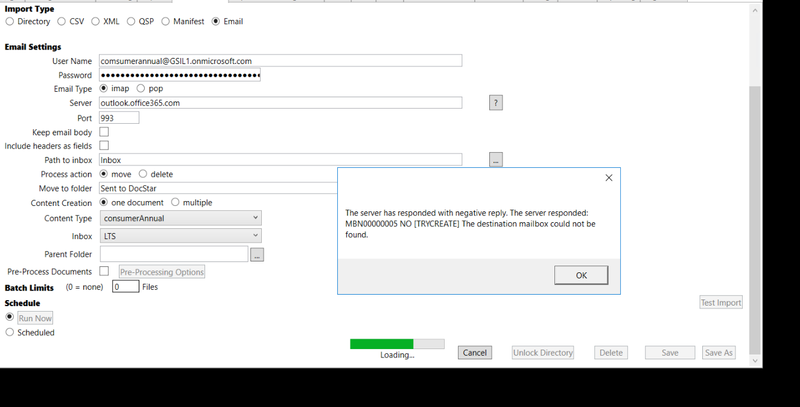 Description: This error will appear when the client service is trying to launch an email import that was not created while the service is running as admin. The test import functionality will work but the scheduled or run now options error out. 1. Screenshot all the relevant data from the import in question. 2. Close the Eclipse Client Service. 3. Launch the Eclipse Client Service as Administrator. 4. Recreate the email import in question.